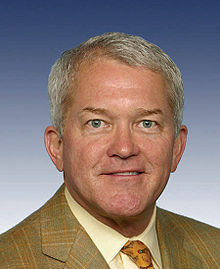 Mark Adam Foley (born September 8, 1954) is an American politician who served as a Republican member of the United States House of Representatives from 1995 until 2006, representing the 16th District of Florida. regarding Bill Clinton; quoted in "Foleygate: The former congressman's true crime". The Phoenix. 2006-10-05. Retrieved on 2006-12-13.